In a new report the Swedish Board of Agriculture states that the animal welfare is good on Swedish fur farms. Access to swimming water is not an essential need for farmed mink. This is the conclusion of a new study by the Swedish Board of Agriculture. The study also concludes animal welfare to be good in the Swedish mink production. 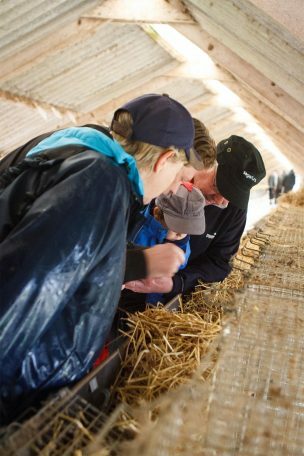 The Swedish government’s expert authority in matters of agri policy had been commissioned to investigate if today’s mink production in Sweden offers an environment with good animal welfare, and opportunities for the mink to exercise behaviour they are strongly motivated for. The welfare effects of access to swimming water has possibly been the hottest topic in the fur debate for more than a decade. However, the recent conclusion from the Swedish animal welfare experts follows the results of a number of similar studies in other countries including Estonia, Norway and Denmark. In addition, the study confirms that the welfare of farmed mink in Sweden has increased in recent years, while at the same time the number of remarks from farm inspections have dropped. “These days it’s only the professional animal lobby who promotes these old myths about wild animals and swimming water. Apart from reports written by the animal lobby itself, all serious studies states there is no scientific support for claiming swimming water to be an inherent need for mink,” says Mette Lykke Nielsen, CEO of Fur Europe. The Swedish Board of Agriculture also establishes that the farmed mink is domesticated and cannot be compared to its wild counterpart. In addition the report states that the appearance of stereotypical behavior is at a very low level, which furthermore cannot be associated with herds, but only individual animals. As a consequence of the positive findings the Swedish animal welfare experts find no reason to suggest new legislative measures. However, it is suggested that statistics from Fur Europe’s science-based animal welfare programme WelFur is utilised as benchmark for animal welfare in the future. WelFur is developed by independent scientists from seven European universities, and all farm assessments are made by independent third-parties.